A drink driver who drove the wrong way down the M20 and killed his best friend in a crash has been jailed for five years. Former Royal Engineer Christopher Clement was twice the legal limit and drove the wrong way for almost two miles (3km), Maidstone Crown Court heard. Passenger Mohammed Chowdhury, Clement's best man, died at the scene in March. 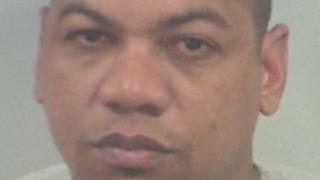 Clement, 37, admitted causing death by dangerous driving. The court heard the defendant, formerly of Warnham Grove, Orpington, and Mr Chowdhury were best friends and had worked as security guards together. Clement had served in the Royal Engineers from 2002 to 2006 and spent six months in Iraq. VW driver John Bostock - who collided with the car on the London-bound carriageway between junctions four for Leybourne and three for Borough Green - described the "unexpected" sight of headlights coming towards him. He said: "With the speed we were heading towards each other, there was no time to do much. I managed to turn a bit." He said after the crash he told Clement he was driving the wrong way and Clement replied "was I?". Mr Bostock had cuts, bruises and whiplash, while Clement had a broken rib and bruising. In a victim impact statement, Mr Chowdhury's brother Mohammed Hussain described his "devastation and complete sadness". Adrian Rohard, defending, said Clement wanted to express his sincere condolences, adding: "He realises nothing he can say or do will bring him back. He realises his actions have been devastating." Judge David Griffith-Jones said he did not doubt Clement's remorse and said: "Your actions that night, inexcusable and appalling though they were, were out of character." Police said analysis showed the level of alcohol in Clement's blood was believed to have been 169 milligrams of alcohol per 100 millilitres of blood. The legal limit is 80 milligrams of alcohol per 100 millilitres of blood.